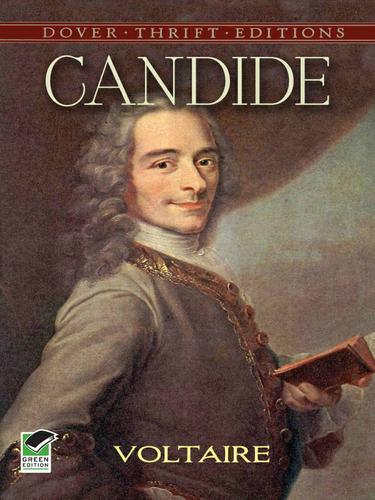 Caustic and hilarious, Candide has ranked as one of the world's great satires since its first publication in 1759. It concerns the adventures of the youthful Candide, disciple of Dr. Pangloss, who was himself a disciple of Leibniz. In the course of his travels and adventures in Europe and South America, Candide saw and suffered such misfortune that it was difficult for him to believe this was "the best of all possible worlds" as Dr. Pangloss had assured him. Indeed, it seemed to be quite the opposite. In brilliantly skewering such naïveté, Voltaire mercilessly exposes and satirizes romance, science, philosophy, religion, and government — the ideas and forces that permeate and control the lives of men.After many trials and travails, Candide is reunited with Cunegonde, his sweetheart. He then buys a little farm in Turkey where he and Cunegonde, Dr. Pangloss and others all retire. In the end, Candide decides that the best thing in the world is to cultivate one's own garden. A selection of the Common Core State Standards Initiative.